AUTHENTIC – We do not shy away from straight talking. When you deal with us, we are what you see. RESPECTFUL – We place the greatest importance on respectful interaction with each other in our team as well as with third parties. For us, dealing with esteem and genuine interest in one’s counterpart is a matter of course. PASSIONATE – We love what we do and we are convinced that we deliver real value to our clients. ENTREPRENEURIAL – As lawyers, we approach an issue with a legal mind – but we set aside our legal tools when we need to act commercially. Our aim, after all, is to help you complete a successful transaction. Holger Scheer is a corporate partner based in Frankfurt am Main. He mainly advises strategic and institutional investors in national and international corporate finance transactions. His track record comprises more than 300 transactions with particular focus on leveraged buy-outs, venture and growth financings, joint ventures and restructurings in a wide range of industry sectors. He has special sector expertise in the field of software & technology companies, SAS, e-commerce and digital entertainment. Holger is a frequently recommended lawyer on the German corporate/private equity scene. He was listed in 2010 by the renowned magazine Wirtschaftswoche as one of the 25 most recommended M&A lawyers in Germany. 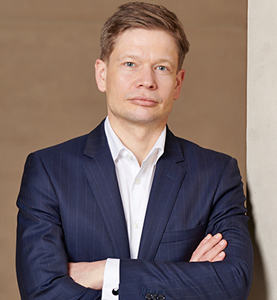 Before founding SKYE PARTNERS in 2018, Holger started his career at Clifford Chance and Aderhold Gassner, where he became partner in 2007. From 2008 to 2014, Holger served as co-chairman of Dentons’ global private equity group and office managing partner in Frankfurt am Main. Between 2014 and 2018, he served as co-chairman of Norton Rose Fulbright’s European private equity group. Holger is also admitted as attorney at law in New York. 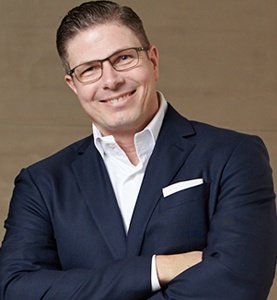 Christoph O. Breithaupt is a corporate partner based in Frankfurt. He focuses on M&A transactions, particularly for private equity and venture capital investors. Christoph advises clients on national and international transactions, including acquisitions, disposals, joint ventures and corporate reorganizations (Umwandlungsrecht). He has special sector proficiency in the field of venture technology companies and is a frequent speaker at venture capital events and workshops in Berlin. Christoph has been admitted to practise law as a German lawyer since 2007. He received his German law degree in 2006 and his master of European and international business law (M.B.L.-HSG) from the University of St. Gallen, Switzerland in 2008. Prior to founding SKYE PARTNERS in 2018, he worked in the corporate/M&A and M&A Tax department of KPMG from 2008 to 2012. In 2012 he joined the European private equity practice of Dentons in Frankfurt am Main, from where he joined Norton Rose Fulbright with the entire team in 2014. Christoph is fluent in German and English. 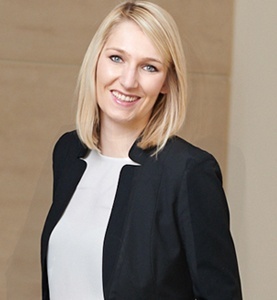 Julia Rosigkeit is an associate at SKYE PARTNERS in Frankfurt am Main. She specializes in advising on M&A, private equity and venture capital transactions. In addition, she advises on general issues of corporate law and corporate reorganizations. Julia has been admitted to practise law as Germany lawyer since 2013. She studied law at the University of Rostock, Åbo Akademi in Turku, Finland and Johannes Gutenberg University Mainz. 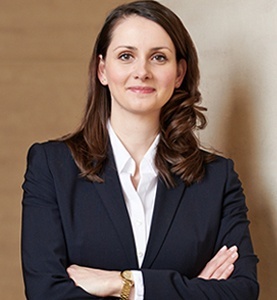 After completing her second state examination in 2013, she worked in Norton Rose Fulbright’s corporate and M&A team until joining Norton Rose Fulbright’s European private equity practice in July 2014. She joined SKYE PARTNERS in 2018 with the entire founding team. Julia is fluent in German and English. Jana Kalbfleisch is an associate at SKYE PARTNERS in Frankfurt am Main. Her focus is on advising strategic and institutional investors and financial investors on M&A, private equity and venture capital transactions. Jana completed her law degree at Ruprecht-Karls-Universität in Heidelberg in 2013. She has been admitted to practise law as a German lawyer since 2016. From May 2016 to September 2017, Jana worked as in-house lawyer in the forensic services department of PricewaterhouseCoopers GmbH WPG with the focus on corporate compliance. 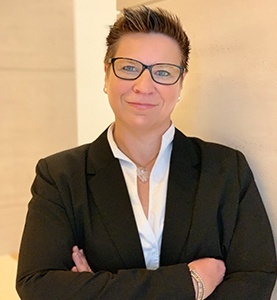 In October 2017, she joined the European private equity practice of Norton Rose Fulbright, from where she joined SKYE PARTNERS with the entire founding team in 2018. Jana is fluent in German and English. 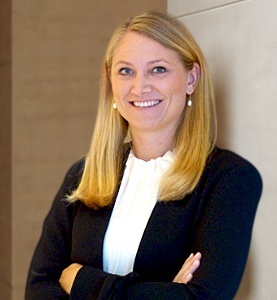 Sandra Brieske is an associate at SKYE PARTNERS in Frankfurt am Main. Her main focus is on advising on M&A, private equity and venture capital transactions. In addition, she advises on all topics of corporate and transformation law. Sandra graduated from Goethe University, Frankfurt am Main in 2014. She has been admitted to practise law as a German lawyer since February 2017. From February 2017 to September 2018, Sandra worked as a lawyer in the field of banking and capital markets law/litigation at the law firm Ettrich Rechtsanwälte in Frankfurt am Main. In October 2018, she joined the SKYE PARTNERS team. Sandra is fluent in German and English. Mareike Dub works with us as Office Manager and takes care of all administrative tasks within the office. After her education and training as lawyer’s and notary’s assistant she gained over 15 years extensive experience in international law firms as partner secretary and office manager with personnel responsibility. Mareike is fluent in German and English. Doris Schäfer-Leaman works as a team assistant in our office and takes care of all administrative tasks within the firm. 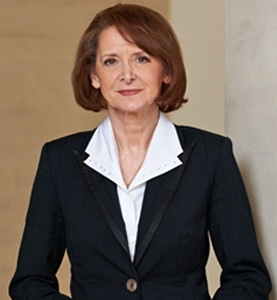 She has over 16 years of extensive experience in international law firms as a partner secretary and another 20 years in traditional German industrial companies as an assistant to the management and as a foreign language secretary. Doris is fluent in German and English. We are always looking for qualified and motivated employees. If you want to enrich the SKYE PARTNERS team with your skills, send us your cv and a letter of motivation and whet our interest. SKYE PARTNERS became involved early in the story of Jonathan Heimes and the charitable organization DUMUSSTKÄMPFEN! The highly gifted boy from Darmstadt dreamed of a top-ranking position in world-class tennis at the age of 12 – just like his training partner Andrea Petkovic. But the paths of the two friends parted early. While Andrea rose to the top ten in the world rankings, Johnny fell ill at the age of 14 years with cancer. He took on the fight against cancer in an impressive way. Jonathan fought not only for himself, but also for many other children and adolescents at the children’s cancer ward. During his illness, he gave away motivational ribbons with the motto that had kept him alive until then: DUMUSSTKÄMPFEN! (YOU NEED TO FIGHT) – Nothing is lost yet. With the donations generated by the ribbon, he promoted the project Supportive sports therapy for children with cancer and also launched his own charity initiative. Several times the great fighter was able to defeat the cancer – but the disease came back again and again. On 8 March 2016, after over 12 years of battle and countless operations, chemotherapy and radiation, Johnny was released from his suffering. He did not lose the fight, he went as a winner, because with the organization DUMUSSTKÄMPFEN! he leaves behind big footprints. His initiative lives on and fights on – now and for ever. As SKYE PARTNERS, we now have a great opportunity to use our help where we think it is right and important. For this reason, SKYE PARTNERS supports the charity initiative DUMUSSTKÄMPFEN!, which actively campaigns for children and adolescents suffering from cancer.